As NCVF President and a Board Member, Sante has lead the organization through its formative years. He has long acted as a tireless advocate for thousands of male and female student participants at nearly every level of the sport. Sante contributes as an ex-officio member of NCVF committees and collaborates, on NCVF’s behalf, with school administrators, volleyball club leaders, and professional service and health-oriented organizations. He is Commissioner of the MIVA, a 50 team model NCVF recognized collegiate club men’s league that covers a twelve state region. Sante has been the Head Coach of the Michigan State University men’s club volleyball program since 1987 where his teams have won 9 conference and 7 league championships. He was the 2006 National Coach of the Year. After obtaining USAV coaching certifications, Sante was selected as a coach for the 1995 U.S. National Boys’ Team (Gold Medal, Calgary) and the 1996 U. S. Olympic Festival South Team (Bronze Medal, St. Louis). Sante is co-founder and President of Lakeshore Region Volleyball Association which offers indoor and beach programming and supportive services for people of all ages. He is a graduate of the University of Michigan and the University of Detroit-Mercy School of Law. As a former State of Michigan Assistant Attorney General, Sante represented state agencies, boards and commissions that promote education and economic development, employment, and vocational opportunities for persons with disabilities. He is a NCVF co-founder and resides in East Lansing, Michigan. Andrea Navar is the newest addition to the NCVF Board of Directors but is no stranger to the NCVF. Andrea has been committed to the advancement of collegiate club volleyball since 2001. She was a club officer and player at Michigan State University from 2001-2004, and then served her alma mater as a club coach from 2004-2006. 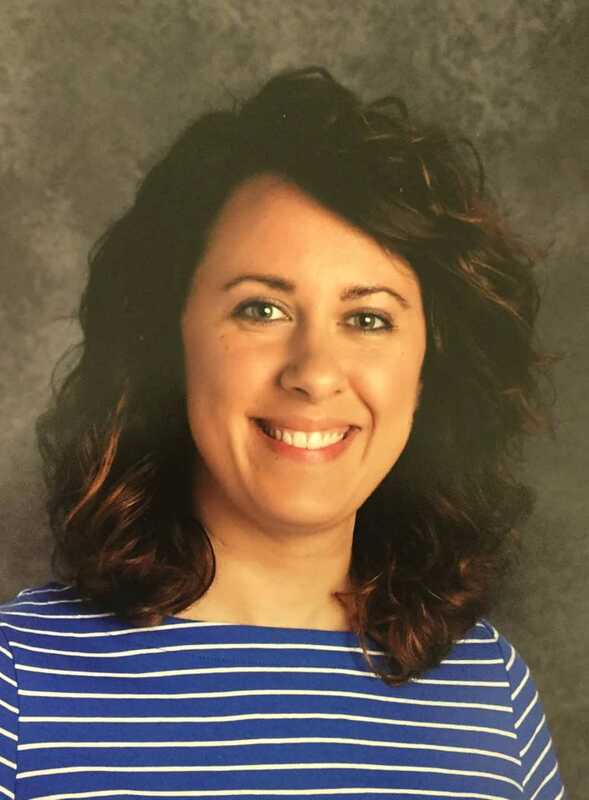 After completing her education, Andrea relocated to Columbus, Ohio where she is currently a science teacher and volleyball coach at St. Francis DeSales High School. Andrea also spent three seasons as the Ohio State Women's Club Volleyball Coach from 2007-2010. In 2014, she began her work with the NCVF by assisting with the organization of the women's ranking tournaments, and the women's divisional seeding and all-tournament teams for the NCVF National Championship Tournament. Andrea has served on the NCVF Women’s Committee for the past three seasons where she helped facilitate many NCVF service initiatives. With her appointment to the Board of Directors, Andrea will chair and participate on various NCVF committees and continue to be a leading voice for NCVF women and nationwide service initiatives. Andrea resides in Columbus, Ohio with her husband, Isaac. Nick is the NCVF Secretary and the newest member of the NCVF Board of Directors. He is Chairperson of the NCVF Compliance Committee, overseeing the administration of NCVF Governance Rules, Sportsmanship and Ethical standards. Nick began his collegiate club career as a player and coach at the University of Dayton and was elected as the Dayton Men’s Volleyball Club President in 2010. As a former club volleyball president, he respectfully distinguished himself with university administrators and members of the national club volleyball community by advocating for student-directed club opportunities at his school. Nick continues to play volleyball, has been named Assistant Coach at Cincinnati Christian University (NAIA) and Head Coach for the Walnut Hills High School girls’ varsity volleyball team. Nick is a graduate of the University of Dayton and University of Cincinnati College of Law, and is currently employed as an attorney and small business owner in Cincinnati, Ohio. Dan is NCVF Treasurer and a member of the NCVF Board of Directors. Dan chairs the NCVF Finance Committee, and, among other appointments, is a member of the NCVF Rules and IT committees. He has been the Director of Competition for the MIVA, an NCVF recognized league, for over 20 years, overseeing scheduling and play for over 50 Midwest collegiate club teams. For nearly three decades, he has served as the Director of Competition for the 60 team club volleyball Spartan Back to the Hardwood Tournament, and has acted as Director of Competition for the 40 team Hoosier-Illini Tournament for over a decade. Dan played club volleyball at Michigan State University in the 1970’s, and has remained actively involved in various roles with the MIVA and many other volleyball organizations since that time. He is an accomplished official where he has achieved the status of USAV National Referee and USA National Scorekeeper. Dan is a co-founder and Treasurer of Lakeshore Region Volleyball Association (USAV). Dan is a graduate of Michigan State University and is retired from the State of Michigan where he worked as an Economist for over 20 years. Dan is a NCVF co-founder and resides in Lansing, Michigan. Doug is an NCVF Board Member and chairs the NCVF National Championship Tournament, IT and Registration committees. Doug plays critical NCVF administrative roles by operating VBReg, the organization’s on-line registration system, and serving as the NCVF National Championship Tournament Director. Doug’s work with these NCVF initiates has empowered unprecedented participant growth for clubs at both small and large schools. Doug has long been involved in various aspects of collegiate club volleyball -- as player, coach, official, commissioner, and administrator. As a player, he led his Texas A&M team to national prominence, earning four conference championships in five years. Taking the reigns as the club’s head coach from 1995-1997 and 2001-2003, he directed the Aggies to three national top ten finishes. He is one of the founders of the SIVA collegiate club conference, a NCVF recognized club league, serving as its Commissioner for nearly two decades. Doug also rehabilitated a struggling Ohio State Men's club team during a three-year coaching term, helping the Buckeye club to gain a national spotlight while assisting in the organization and administration of the MIVA. Doug holds Bachelors and Masters degrees from the Texas A&M University, and is employed by Mercer as a Senior IT Manager. Doug is a NCVF co-founder and resides in Houston, Texas. Gary was a former NCVF Board Member, NCVF co-founder and served club volleyball for over four decades. He began his coaching involvement in 1967 at UC Davis, and in 1979, he coached Sacramento State. He was the founder of the Northern Collegiate Club Volleyball League, an NCVF recognized collegiate club league where he acted as its Commissioner from 1967-2000. Gary's vision of an organized national level collegiate club tournament was born in 1985 when he independently created and administered the first ever national collegiate men's club championship tournament in 1985. He led the growth and development of the tournament through to the formation of the NCVF in 2008. Gary served 31 years as a national and international certified referee, an esteemed member of the USA Volleyball Board of Directors and an administrative mainstay for several USA Volleyball initiatives. Gary was a graduate of the University of Minnesota, and retired from UC Davis where he was employed as the Associate Athletic Director in charge of Intramural Sports & Sport Clubs and Special Assignments. He passed away in 2016 and will be long remembered for his NCVF vision, mentorship and leadership, and for the historic contributions he made to the sport of volleyball.